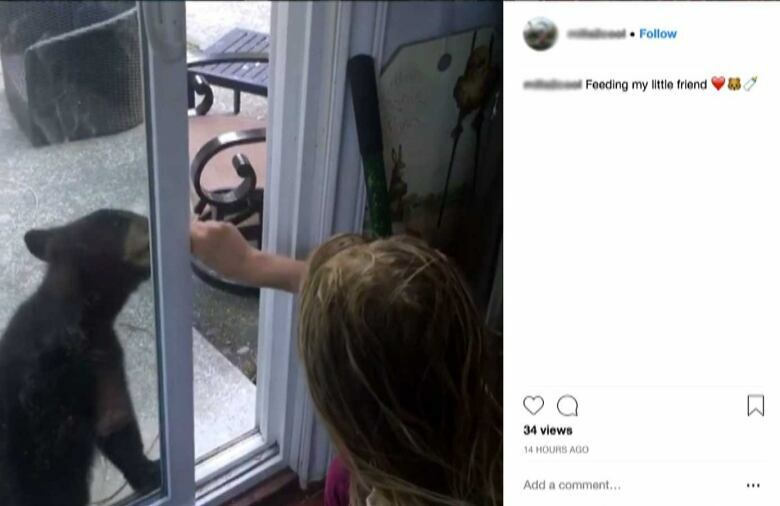 A conservationist is "shocked" by a video that show girls feeding bears through the patio door of a Vancouver-area home, and says the bears may have to be shot if the feeding continues. 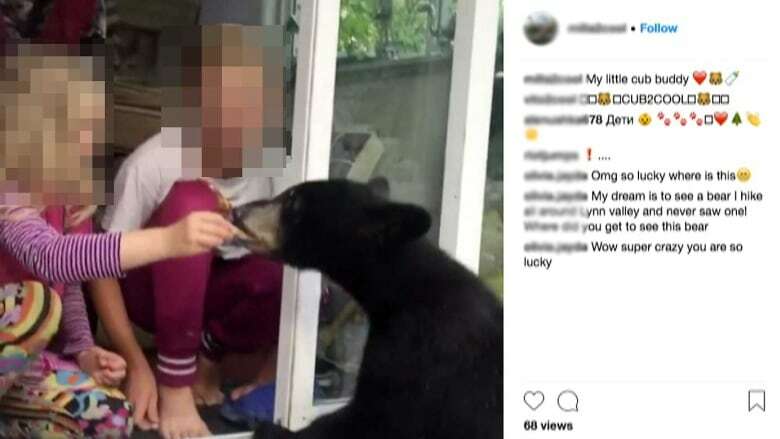 A bear conservationist says she is shocked by Instagram videos showing two Vancouver-area girls hand-feeding black bears through an open patio door. In one of the videos, the two unidentified girls giggle when a bear cub swats at one of them after she gave it a cracker. Another video shows a girl feeding a cub a cracker through the sliding door. In a third, a man, who appears to be their father, feeds an adult-sized bear a full package of crackers through the same door. A fourth shows a sow and cub in the family's backyard. The videos appear to be posted by one of the girls on her Instagram account. It's the sort of behaviour that Christine Miller of the North Shore Black Bear Society finds horrifying. "I was really shocked when I saw that," said Miller. The bears may have to be shot if they continue to be hand fed, Miller said. Feeding black bears gets them used to humans, and once they associate people and houses with food they can become dangerous, she said. Miller said while bear cubs may seem adorable, when they grow up into a 150-kilogram adult, even a playful swat is dangerous. "Most people would be very uncomfortable with a bear approaching them. It could end up in human injury," she said. Neither the family nor the province's Conservation Officer Service returned calls for comment.